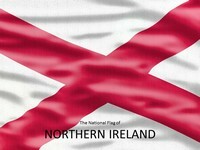 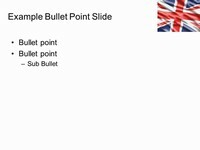 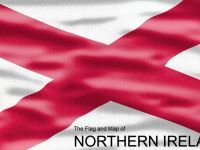 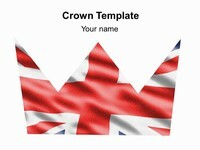 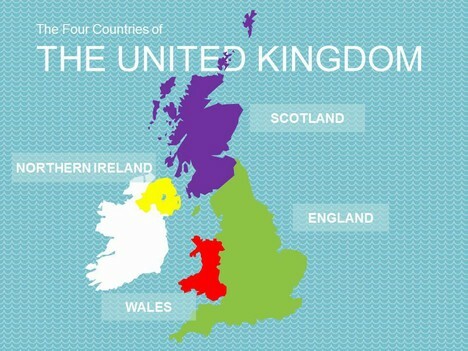 A great template showing the national flag and an editable map of the United Kingdom with its four countries: England, Scotland, Wales and Northern Ireland. 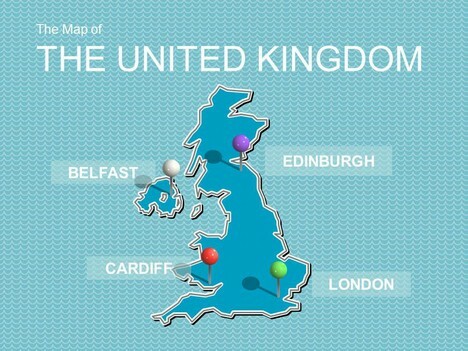 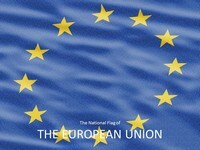 We also have a full map of UK and Europe. 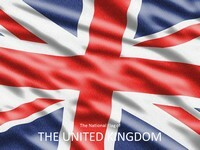 Another Union Jack flag can be found here.